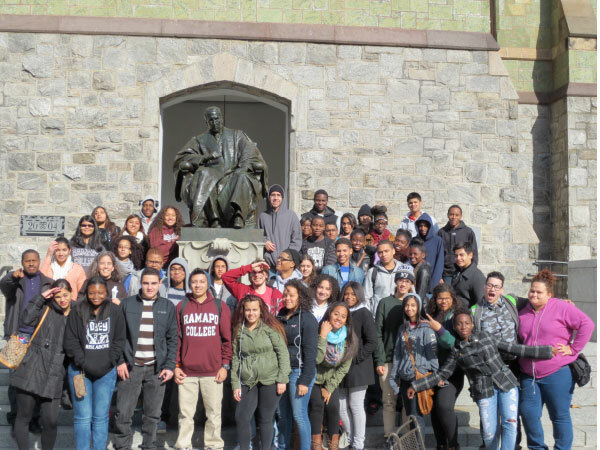 The Ramapo College Upward Bound Math Science Program is funded to accept approximately 20 new students each year. Participants are selected based upon their school record, teacher recommendations, interviews, and eligibility according to federal guidelines. This program is designed to serve students who have the ability to go to college and are willing to put in the work required to get there and succeed. It will benefit the student who may have trouble getting into college because of limited financial or educational resources that puts him or her at a disadvantage when competing with more affluent peers attending well financed suburban or private schools. Have U.S. citizenship, permanent residency, or be applying for permanent residency. Have family income of no more than 150% of the federally determined poverty level. It costs NOTHING! In fact participants who fulfill all their obligations to the program will receive a modest stipend that can amount to more than $300 per year. This money is not intended to be compensation for participating, but merely spending money for the student’s personal use. All necessary supplies, books, room and board, and transportation will be provided for by Ramapo College. The RCUBMS program is 96% federally funded by the U.S. Department of Education at a total annual amount of $ 263,414 for 59 students served per funding year.